In offering this selection of Sermons to the public, the publishers have not been governed by Sectarian principles, but have selected Sermons upon various subjects, that the reader may understand the general doctrine held forth by this eminent divine. When we consider the mental darkness which enveloped the world in the days of Luther, under Popish superstition and idolatry, and that he was the first who attempted to emancipate the human intellect from more than “Egyptian darkness,” the reader will undoubtedly censure lightly any defects that may appear in his discourses; considering his great object to have been, the removal of that servile yoke of Papistry under which nations were groaning, and of bringing mankind into the liberty of the gospel. 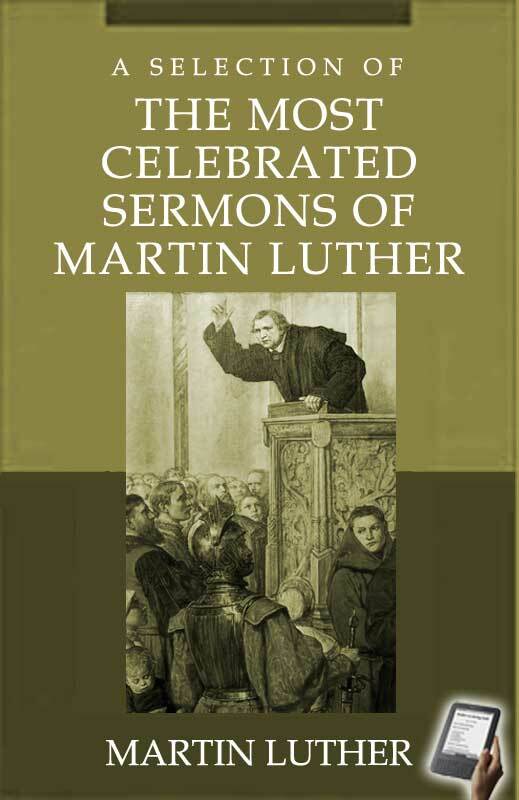 Luther's Sermons, after having been translated, were published in the year 1581, and re-published in 1649. In consequence of the imperfection of the English language, when these Sermons were formerly published, it was found necessary to revise them, and correct the language; but in so doing, particular care has been taken to preserve precisely the original meaning. LIFE AND CHARACTER OF MARTIN LUTHER, D.D. Proceedings of the diet at Worms; with Luther's trial and concealment, 1521. SERMON I: Galatians, Chap iv. from the first to the seventh verse, inclusive. SERMON IV: Matthew, Chap. i. From the 1st to the 16th verse, inclusive. SERMON VI: The fruit and virtue of Christs Resurrection. SERMON VIII: John, chap. vi. From the 44th to the 51st verses, inclusive. SERMON X: Luke, Chap. vi. From the 36th to the 42d verses, inclusive. SERMON XIII: Luke, Chap. i. From the 68th to the 78th verses inclusive. SERMON XIV: Philippians, Chap. iv. verses 4, 5, 6, and 7.